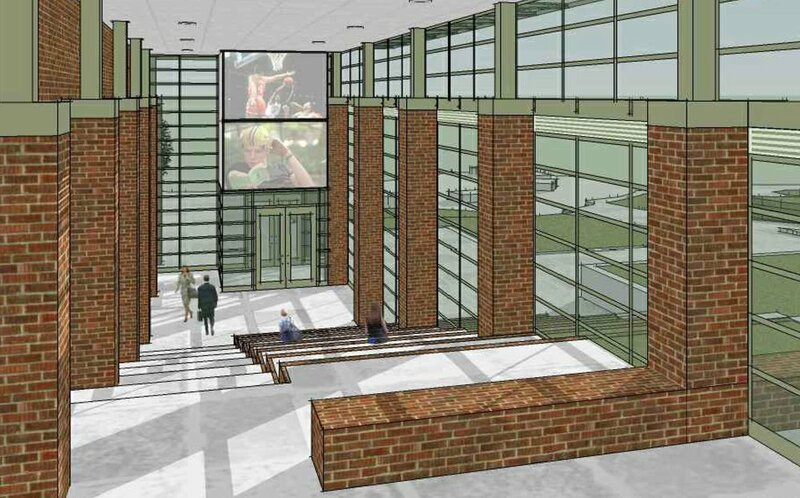 The design for the University Center entrance at Indiana University's New Albany Southeast Campus responds to the Client's need for a welcoming and immediately identifiable gateway to the main building on campus. 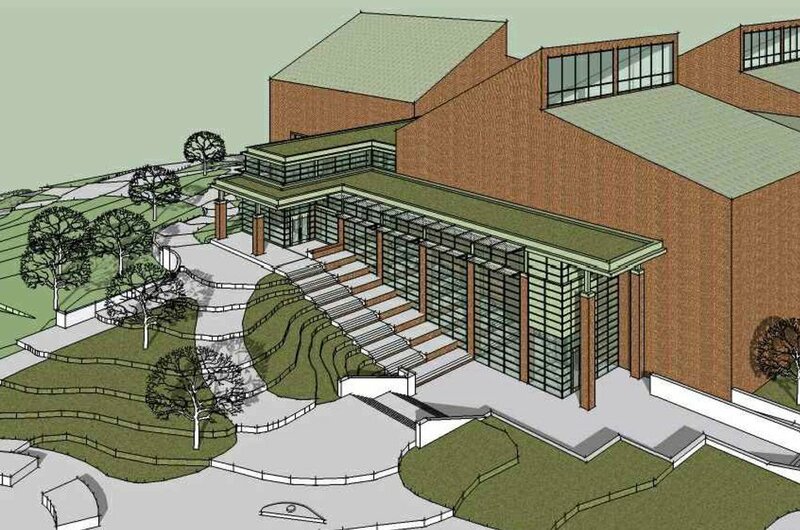 The design integrates the existing campus center into its site by providing terraced indoor and outdoor gathering spaces. A new glass atrium connects the upper and lower levels with stairs and informal seating. 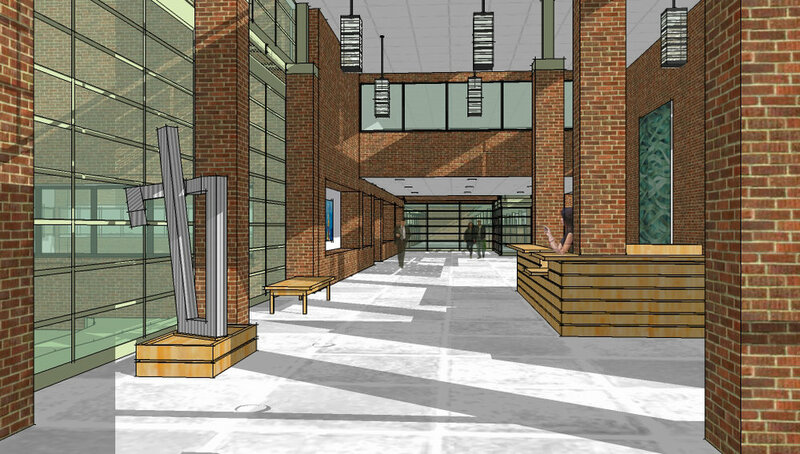 The new lobby serves as a student reception and information center. 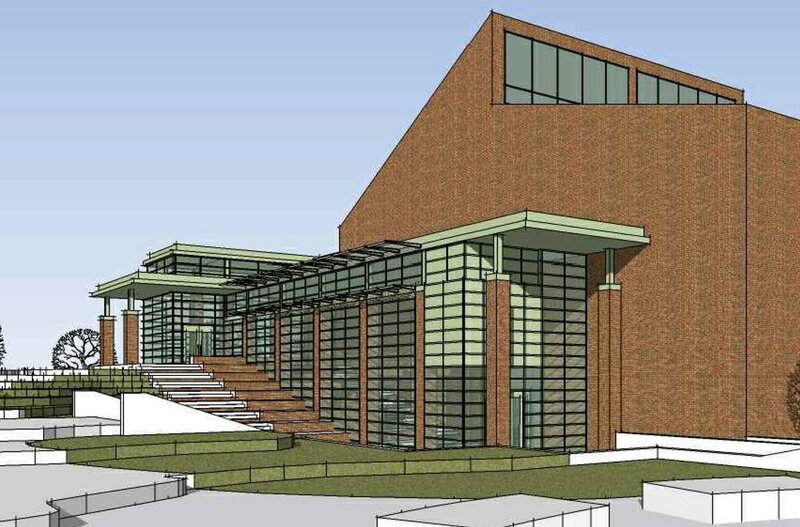 A stair at the west side of the building connects a new courtyard garden and outdoor dining area with an upper level terrace, new conference room, and a corridor which connects the north and south building wings.